Sophia is the founder of 2 international businesses that focus of relationship management of people and organisations. Dream Internship (DIA), is a global consultancy that connect people and organisations through customised mentoring and internship programs. Interns (or mentees) have both an internal mentor within the host company and an external mentor from DIA. The programs include creating visions, strategic career planning, and work experience with mentors. Dream Relations focus more on business and stakeholder relationships, although these are very much affected by people and personal relationships. People are more likely to do business with people they know, like and trust. These three factors combined constitute an ultimate relationship. People interpret messages differently depending on environment, background, language, experience, culture, beliefs, and values. Values are hard to change as they stem from ingrained beliefs in early life. 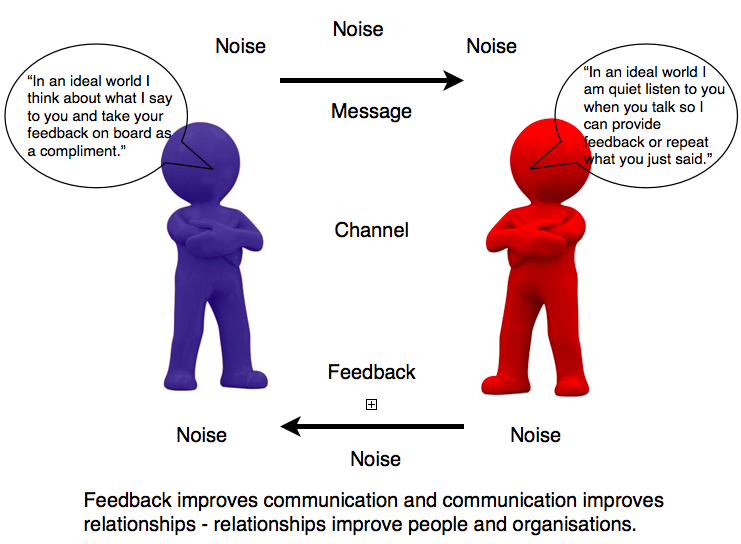 Change Management for people and organisations therefore need to be driven by an open mind that fosters two-way symmetrical communication that reflect internal and external values. Values, as well as culture is often shaped by integrity. Thus, a high level of integrity makes an excellent organisation, and an excellent person. Unfortunately, as we have all had negative experiences or lack of positive experiences in our lives, we are often controlled by doubt, fear and distrust. All kryptonite for healthy relationships. In an ideal world or ideal business, people communicate honestly and openly inside and out. They understand each other, share ideas, support and promote each other for their strengths. 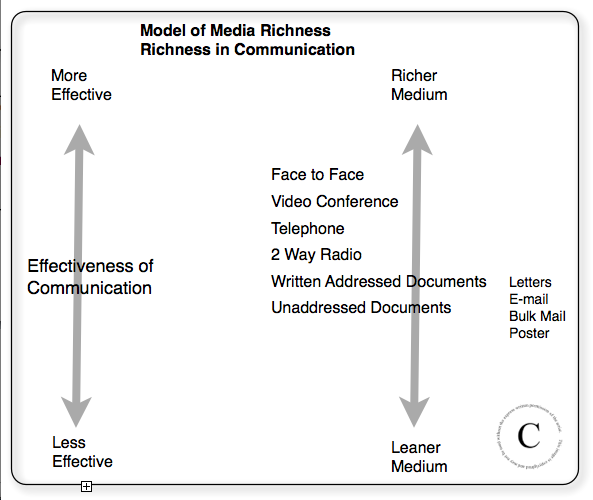 Research proves that an excellent organisation is one that exercise open two-way communication. This can only be achieved in lateral organisations where a relational function has a voice on the board. A function that promotes and improves relationships similar to that of an ambassador. An ambassador for relationships. We must strive towards the ideal to reach maximum efficiency. You can never get 100% if you aim for 80%. Get in touch with Sophia now if you are interested in building effective relationships, and perhaps get rid of some toxic ones too! 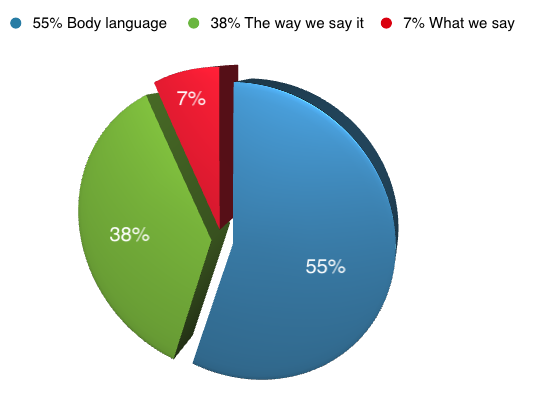 We can’t not communicate – Body Language is more important than you think! When we don’t meet face to face or forget to consider our body language, its easy to misunderstand one another, and to ignore the best way of understanding each other. In a large business, we see public relations more as propaganda. This usually happens because we are influenced by the past and because large firms have a confronting presence. For small business on the other hand, that don’t have specialised functions to manage communication with staff or stakeholders, it’s actually easier to understand the true meaning of public relations. In small business, the one to one communication used in building and maintaining relationships is vital for the success of the business. How one person treats another becomes very interesting when you look at statistics that say that 79% of customers leave an organisation because they feel as though they don’t care about them (numbers are similar for staff and customers). A large business can afford to lose a few stakeholders, a small business can’t. The three most important factors in small business is demand, capital and communication. There is an important link between the three. The key for an excellent organisation is to offer a great service and product that people want to buy. This way you never have to sell anything. ‘Show them how much fun you’re having, and they will come join you’, and those who won’t join are simply not suitable for your product anyway.